As any parent discovers at one point or another, it is easy to dole out sage advice to our children, but much more difficult to adhere to those words of wisdom ourselves. Over the years, my husband and I reminded our two girls that while they couldn’t always control what life tossed their way, they could certainly control how they responded to the challenge. While in the past that philosophy seemed easy enough to engage, it now is more difficult to embrace thanks to our new membership in a most unfortunate club: Parents of Children Lost to Adolescent Melanoma. It is a club we tried desperately to avoid. It is a club which guarantees life-time membership with no option of cancellation. It is a membership which redefines every aspect of your life and that of your entire family. It is a club which is growing in membership every year. 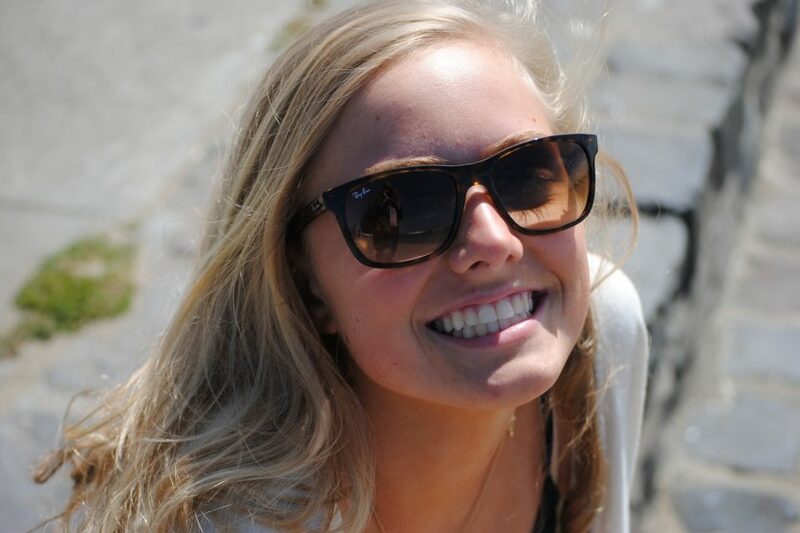 For those of you who follow the Claire Marie Foundation are well aware, our darling Claire fell to the hormonally induced aspect of this disease. Yup, melanoma is not always about the sun! Hormonal changes during puberty can prompt the development of melanoma. Diagnosed at 14, she bounced back and kept fighting to live a vibrant teenaged existence until the beast returned to claim her at 17 years old. We are determined to find some good out of this nightmare as Claire did every day. If that means waving my club membership about, I will. 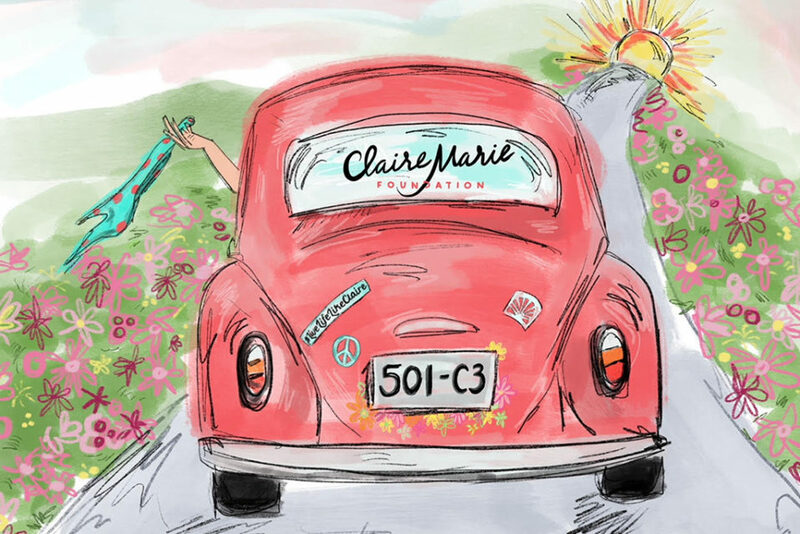 The mission of the Claire Marie Foundation is to raise awareness, clarity and hope in the fight against adolescent melanoma while celebrating the joy, color and beauty Claire embraced every day. 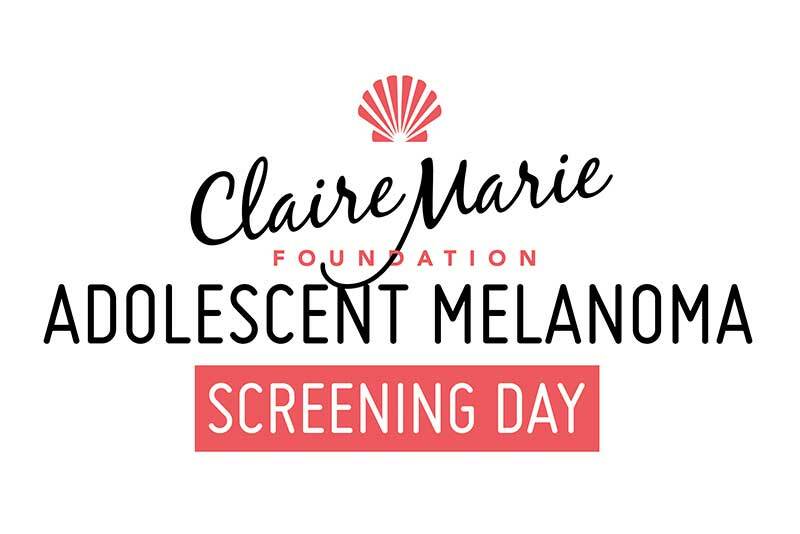 In short, at the Claire Marie Foundation, we want nothing more than to limit membership in this unfortunate club and that begins with awareness, education and early screenings. As a foundation, we personally can’t find a cure to melanoma, but we can wave the warning flag and help others create a path to early detection. As part of recommended healthcare, we screen for breast cancer, prostate cancer,ovarian cancer, even dental and eye problems. Shouldn’t we routinely screen our skin? After all, it is the only cancer than can be seen with the human eye on the largest organ in our body. If a pre-cancerous or a-typical mole is discovered early and removed before it becomes malignant, membership in this club could go way down! Have we not learned anything from the success of breast cancer and other cancer screenings? I recently joined other unfortunate club members and scientists the Melanoma Research Alliance forum in Washington D.C. It was an impressive gathering. I was astounded at the remarkable level of world-class scientific leaders who were present to share information and listen to stories from the “trenches”; tales from patients and non-profit advocates alike. They are compassionate, dedicated medical warriors committed to treating and curing this disease and thank goodness for them! I just wish the medical world would put as much effort toward prevention and detection as they do looking for a cure. We know melanoma is one of the most aggressive and deadly cancers. Early detection is essential to survival. Yet, the mention of the need for routine skin screening seems to bring about the awkward sound of crickets in the room. There was an extensive study presented during one session that validated the positive consequences of screening. Think about that for a moment. A study? Really? We need expensive studies to tell us screening and removing the risk of disease is a good idea? Isn’t that what we call common sense? Here is the bottom line; the medical system is not currently set up to support early screenings for skin cancer and melanoma. There is, on the average, a three to five month wait for an appointment with a dermatologist or plastic surgeon; partly because there is such a great demand for cosmetic procedures. Pediatricians and general practitioners are not always trained in dermatology which often leads to misdiagnosis. Then there is the insurance industry which often considers dermatology a specialty rather than a necessity. And we wonder why melanoma is the fastest growing cancer world-wide. 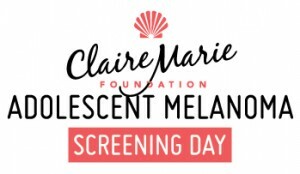 Next month, the Claire Marie Foundation will hold it’s first free skin screening for young people. In the days to come the details and registration will be posted on our website and our social media. Following the words of St.Francis, we feel it is necessary, and possible and if we are lucky, it will lead to the impossible. Claire would like that.